The 14th Annual Game Developers Choice Awards will honor Ken Kutaragi -- former CEO of Sony Computer Entertainment and the "Father of the PlayStation" -- with the Lifetime Achievement Award for his contributions to the world of gaming. 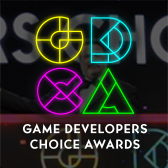 The Game Developers Choice Awards ceremony takes place on Wednesday, March 19 at 6:30pm at the Moscone Convention Center during the 2014 Game Developers Conference in San Francisco, and will be streamed online and open to all GDC passholders. PlayStation 4 lead architect Mark Cerny will be presenting Kutaragi with his award, bringing two of the most important minds in PlayStation together on stage. As a Sony engineer, Ken Kutaragi's first contribution to the world of videogames was the creation of the SPC700, the sound chip within Nintendo's Super NES console. After the success of the SPC700, Kutaragi began an ambitious project to create Sony's first videogame console, and in 1994 Sony released the PlayStation to the public. As the lead engineer of the PlayStation, Ken Kutaragi helped ushered in an era of unprecedented growth in the world of videogames. With powerful hardware and a robust library of games, the PlayStation became the first system to sell over 100 million units. Its successor, the PlayStation 2, went on to become the best-selling console system of all time with 155 million units sold. 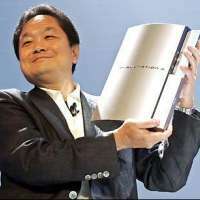 The huge success of the Sony Computer Entertainment division, which Kutaragi led, propelled him into the position of Deputy Executive President from 2003 to 2006, overseeing the launch of the PlayStation 3. In 2007, he became the Honorary Chairman of Sony Computer Entertainment Inc. Kutaragi now serves as the president and CEO of Cyber AI Entertainment Inc.
"The PlayStation has become a household name, representing some of the biggest and best gaming experiences of all time. Its success and longevity is a reflection of the insight, craft, technical prowess and hard work of the team led by Kutaragi-san, the father of the PlayStation," said Meggan Scavio, General Manager of all GDC events. "We're honored to have Kutaragi-san present at the event, and heartened to recognize a true visionary that helped bring about an unparalleled era of growth in the industry." Lifetime Achievement recipients are chosen by the Game Developers Choice Awards Advisory Committee, which includes game industry notables such as Mark Cerny, Doug Lombardi (of Valve), Harvey Smith (Arkane), Raph Koster (Independent), Chris Charla (Microsoft), and John Vechey (PopCap). Organizers of the Game Developers Choice and IGF Awards are also excited to reveal the hosts for this year's award ceremonies. Hosting the Choice Awards for the first time is Abbie Heppe, longtime game journalist and current Community Manager for Respawn Entertainment (Titanfall). In addition, Capybara Games president and co-founder Nathan Vella (Superbrothers: Sword & Sworcery EP, Super TIME Force, Below) is serving as the host of the Independent Games Festival Awards. With a background in print journalism and public access television, Heppe began working in games in 2006 as an editor at Tips & Tricks magazine and was the Senior Games Content Producer for G4, co-host of the Feedback podcast with Adam Sessler and a reviewer for X-Play and G4tv.com. Respawn is an independent video game developer and the creator of much-awaited first-person action game Titanfall. IGF Awards host Vella is the co-founder and president of Toronto-based independent studio Capy, the developer best known for their work on Critter Crunch, Superbrothers: Sword & Sworcery EP and the upcoming games Super Time Force and Below. Vella is also a partner in Indie Fund, whose goal is to help indie developers gain financial independence. The Game Developers Choice Awards ceremony will take place on Wednesday, March 19th at 6:30 p.m. PT at the Moscone Convention Center during the 2014 Game Developers Conference in San Francisco. The ceremony is open to all Game Developers Conference attendees. 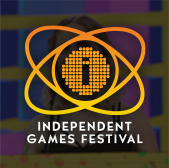 The show will be held immediately following the Independent Games Festival awards, and for the fourth consecutive year, those not attending GDC can watch both sets of awards show live online via GameSpot.com, the official streaming media partner to the award ceremonies. 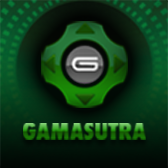 For more information about the 14th Annual Game Developers Choice Awards, please visit the official website. For information about the 2014 Game Developers Conference, please visit the official GDC website.